KeyGrabber Air. 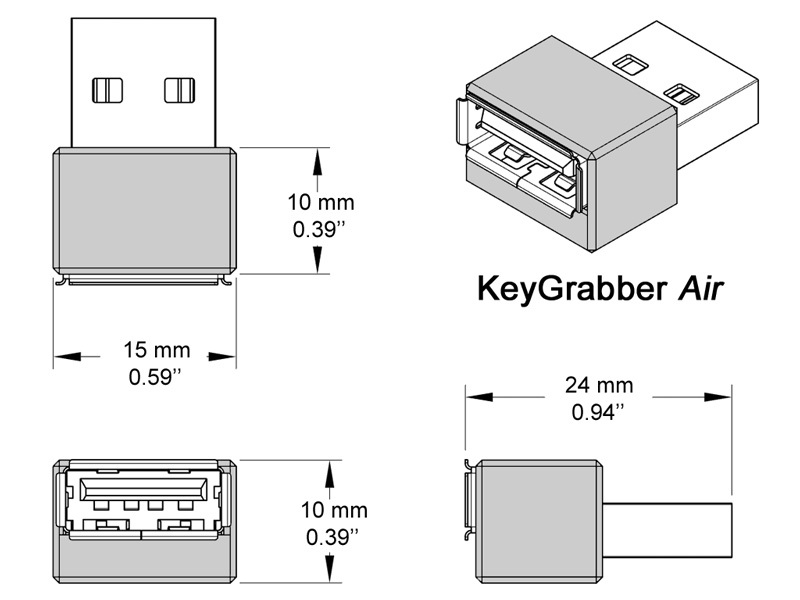 The ultra small, air weight professional USB hardware keylogger. Yes, the size matters! 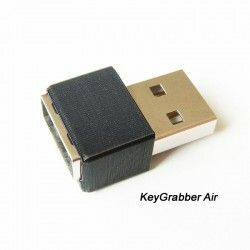 KeyGrabber Air USB 16MB is the ultimately stealth solution. 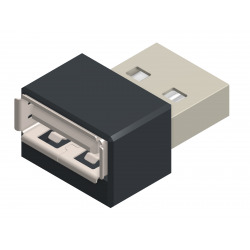 With body dimensions 10mm x10mm x15mm it's the smallest USB hardware keylogger ever available on the market. 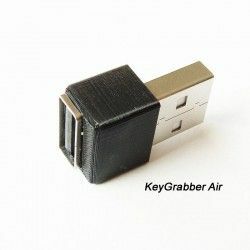 KeyGrabber Air USB is based on WiFi chipset introducing professional features for remote data download: e-mail reports, FTP backups and live WWW streaming in both Access Point & WiFi client mode. Time&Date stamping is network time servers based (NTP). KeyGrabber Air & Pico shares same logging engine to offer industry's best compatibility. Beware of the "10mm" devices released by competitors as their overall size (volume) is much larger than advertised. Always compare all dimensions: length, height & width! 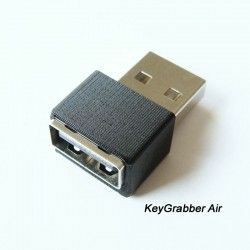 KeyGrabber Air USB - state of the art design of the smallest USB hardware keylogger ever. Physical access to the keylogger is not longer needed to retrieve the logged data. Simply connect to it over Wi-Fi to download the log file or configure the device remotely to receive e-mail report or automatically backup the data to remote FTP server. 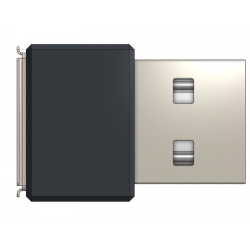 Unlike traditional hardware keyloggers, this model is not supporting USB flash mode for local, USB data download. 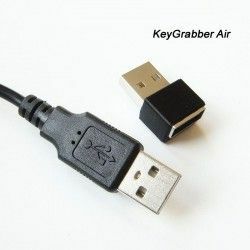 Please refer to KeyGrabber Pico/Forensic/Nano/Classic products to get USB download feature and still keep all the WiFi advantages (by accepting a bit larger form factor)! 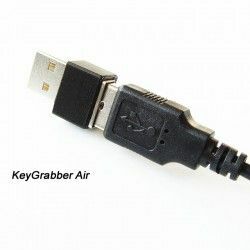 USB cable plug sized KeyGrabber Air hardware keylogger is significantly smaller than Nano, Classic or even Pico keyloggers! Released in 2019, basing on new hardware but using same, well known, industry's best logging engine to offer unbeatable compatibility. 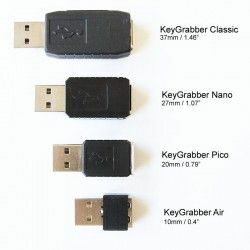 For many years KeyGrabber Nano was the industry's smallest USB hardware keylogger but then it's been superseded by the cutting-edge, successful Pico USB keylogger. 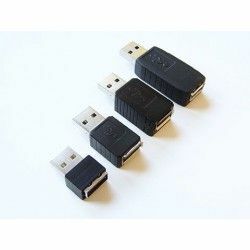 By continuing the Pico keylogger project development we decided to give up the USB data download mode and offer 2x smaller, truly forensic product instead. It's focused on professional WiFi functionality, Internet features and remote access only. 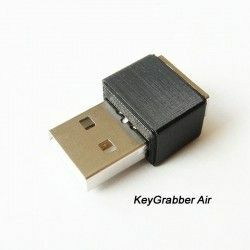 When there is no room for compromises: KeyGrabber Air USB is the only option. 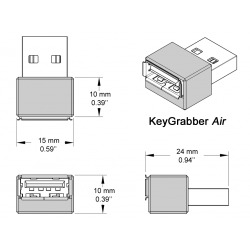 KeyGrabber's Air WiFi functionality offers more than competitor's "pro" called versions. We respect your money and don;t paly downgrading tricks with software features: just compare the features and prices to confirm that you are always getting the full set of features. 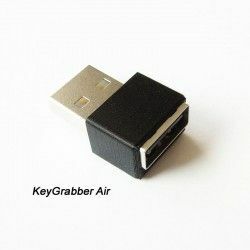 KeyGrabber Air USB devices act as Wi-Fi hotspots or Wi-Fi client. 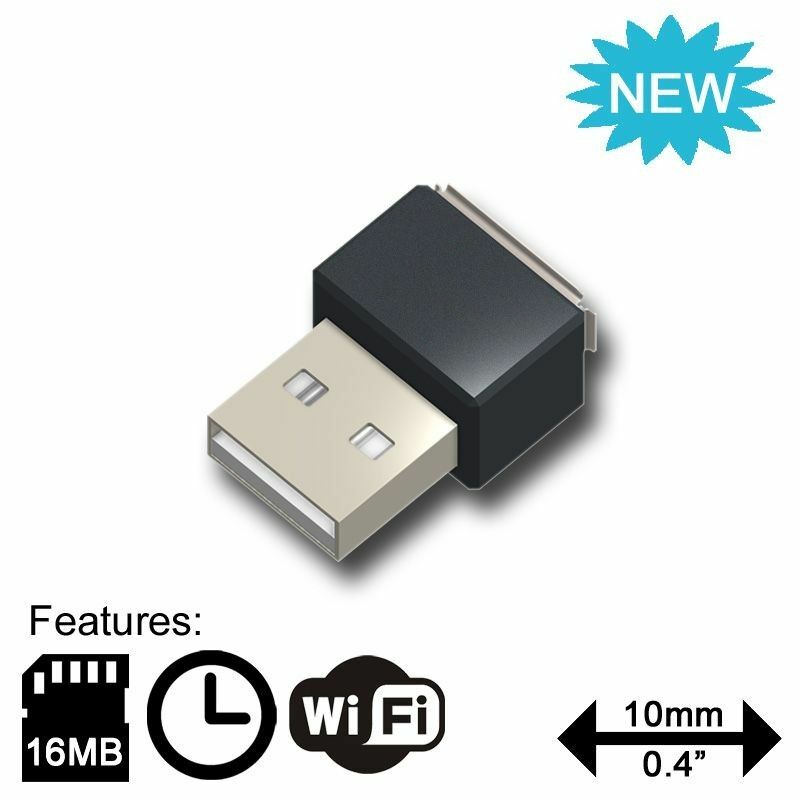 You can connect to them with any Wi-Fi device like smartphone, tablet or laptop. The device will serve the WWW page with the data log, download link & advanced configuration options. 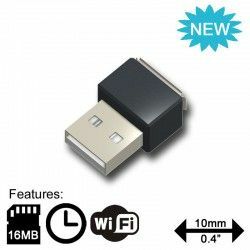 This extremely small USB hardware keylogger is completely transparent for computer operation, no software or drivers are required. It's 100% stealthy and does not pop-up as a system device. 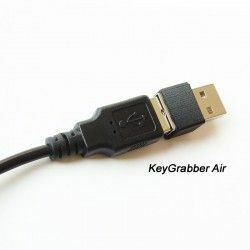 KeyGrabber Air USB hardware keylogger supports over 40 national keyboard layouts, including the selection of most popular languages and keyboard layouts used throughout the world. Yes, it logs NumPad numbers + all other special keys if needed (you can enable or disable special keys logging). Beware of the "10mm long" devices released by competitors, as their overall size (volume) is often much larger than advertised. Always compare all three dimensions: total length, height & width! Memory: 16MB flash, industrial grade memory on board for data logging (no USB Mass Storage mode available, WiFi access only). TimeKeeper by NTP: KeyGrabber Air integrates the Network Time Protocol based, software basic date&time stamping with auto time set function. 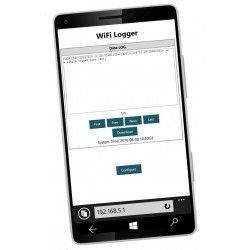 WiFi: it's the base connectivity interface used to access your data and configure the KeyGrabber Air remotely (WWW, Access Point mode, WiFi client mode, FTP backups, e-mail reports and more).